Among Joss Whedon's greatest contributions to television has been the invention of the Body Count, the willingness to kill off recurring characters in order to ratchet up the narrative tension and create a sense of danger. This is the first of two essays examining Joss Whedon as a televisual mass murderer. In the world of primetime television and major motion pictures, killing off characters within the principal cast of a lucrative franchise has become impractical, especially when it is the popularity of those characters that drives ratings and box office revenues. But for writer and director Joss Whedon, who’s developed properties such as Buffy the Vampire Slayer, Angel, Firefly/Serenity, and Dr. Horrible’s Sing-a-long Blog, killing off members of his central cast has almost become standard operating procedure. As fans, we are not shocked when Whedon quietly introduces us to new characters only to have us form an emotional attachment that is ultimately shattered when their lives are seemingly thrown away in an act of casual violence. When the continued success and profitability of a franchise depends on viewers establishing connections with the characters they see, killing off those characters can prove to have costly and terminal consequences. But in the world of TV and film, Whedon has gone against conventional thinking and killed off numerous beloved characters, and with great success. The secret, perhaps, is in how he uses those deaths to promote the gritty reality his characters face and to help motivate characters and push the stories forward. While television has provided us with some memorable character deaths along the years (Detective Bobby Simone on NYPD Blue and Colonel Blake on M*A*S*H), these deaths usually only served short-term purposes for the story, and in some cases act as the catalyst for a single emotional episode. But rarely do these events have any real long-term ramifications for the series or the other characters. Even contract negations and creative differences with actors can lead to the premature demise of popular characters (such as when Denise Crosby was unhappy with how her character Tasha Yar was utilized on Star Trek: The Next Generation). Seldom are characters killed off in their prime or at the height of popularity, especially when that is in contrast to what most viewers would expect or want to have happen. 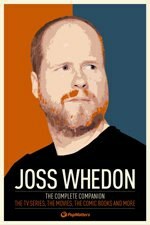 With an unprecedented and unparalleled storytelling style, Whedon has become somewhat notorious for the seemingly indiscriminate killing of his leading characters without the usual pomp and circumstance that surrounds that kind of major event. Anya in the Buffy finale, Paul Ballard in the Dollhouse finale, Wash in Serenity. All of them killed in an instant without warning and without the grandeur normally relegated to major characters. Although each is killed in an impersonal and seemingly random way (sliced in half, stray bullet, and wooden missile, respectively), their passings serve to remind us that death is an inevitable part of life. While we would like to believe that the good guys will always walk away and live to fight another day, Whedon reminds us that casualties occur on both sides in a war. Perhaps Whedon articulated this sentiment best in an interview for Serenity: The Official Visual Companion when he noted regarding Wash’s death, “Dramatically, the more I worked on [the screenplay], the more it became clear that in order to make people feel that this was real, a certain shocking thing is going to have to happen” (p. 37). To think the protagonists will always come out victorious and unscathed would be unrealistic, and notwithstanding the fantastical worlds in which these stories take place, Whedon has strived to ensure that the societal and emotional situations faced by his characters are as true to life as possible. And while these examples all derive from events where the deceased were participants in active hostilities, innocent bystanders are not immune from Whedon’s lethal plot twists either.